A recent study from comScore, Inc. provides a breakdown for the composition of smartphone owners by age in the U. S. As the demand for mobility continues to expand, mobile website design and mobile dental marketing is quickly becoming an essential ingredient in a successful online presence for your cosmetic dentistry practice. According to a study conducted by the American Dental Association, a person’s smile is the most important physical feature, outranking eyes, hair, and body. The American Academy of Cosmetic Dentistry (AACD) estimates that Americans spend about $2.75 billion each year on cosmetic dentistry. 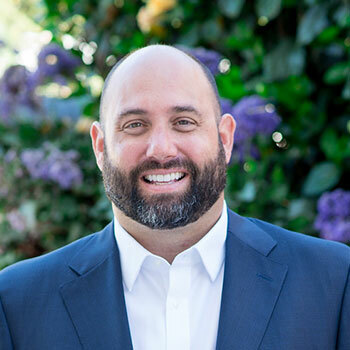 Internet habits are rapidly changing as patients today are first turning to the internet to establish a connection before contacting your dentistry practice. Everyday, patients are interacting with your practice online from a wide range of devices. While researching smile makeovers, teeth whitening, or porcelain veneers online, more and more people are using their smartphones. 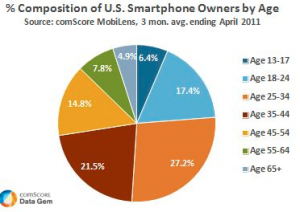 Nearly half of all smartphone users are between the ages of 25 and 44 as of April 2011. Another 23% of smartphone users fall between the ages of 45 and 64. How do these figures compare to the average age of your patients? 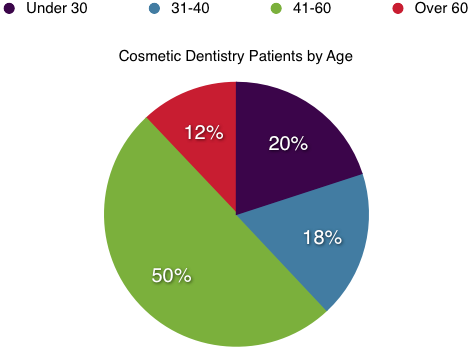 According to the AACD, over 50% of cosmetic dentistry patients fall between the ages of 41 and 60. Next is the 31-40 age group, which accounts for roughly 18%, followed by those 30 and under at 20%, and those over 60 at about 11%. Still Wondering if You Need a Mobile Version of Your Website? More than half of the 300 million mobile users in the U. S. will be accessing the web with their smartphones by the end of this year. As these users continue to adopt a more mobile lifestyle and begin to access your website while on the go, the need for a mobile version of your website is clear: regardless of the age of your patients, the mobile user is tough to ignore as smartphones are expected to overtake the desktop in the near future. Add these stats to the figures from our recent post, 5 Reasons Mobile Website Design is Essential, and you’ll be better prepared to hold the attention of the mobile user as they search for information on cosmetic dentistry. How do these numbers stack up to the composition of patients at your practice? Have you been thinking about mobile website design as part of your dental marketing strategy? Give us a call or visit the Rosemont Media Facebook page and ask away.